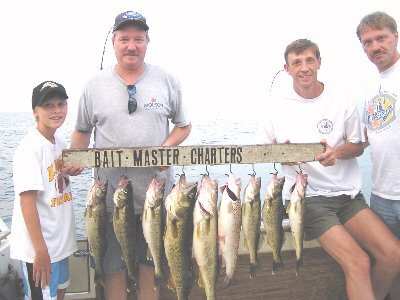 Bait Master Charters has been taking people fishing since 1992. We supply everything needed to spend a day's fishing on Lake Erie or Lake Ontario. No previous fishing experience required. We offer half day and full day charters. On Lake Erie, our home port is in Dunkirk, NY. On Lake Ontario, we charter out of Kent, NY and Wilson, NY. We do fish other Ports depending on season and fishing conditions.